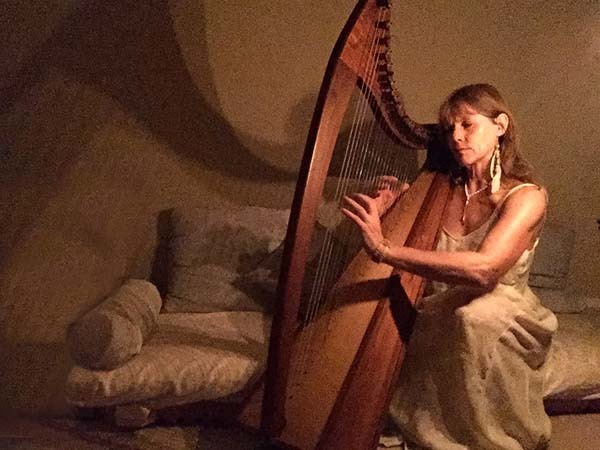 – Deepen your practice and understanding of Spirit – Five ways to successfully create a safe, peaceful atmosphere – Step-by-step teaching template adaptable to your practice and beliefs – Meditations to shift into higher dimensional awareness. – Adaptations for stress, anxiety and mental illness – Practice sessions with supportive feedback. – Widening your horizons by exploring participants methods and styles – Professional considerations; resources, responsibilities. Apply soon – there are only ten places. Teaching sessions: October 15 & 22; November 5 & 19. Practice session October 29. Deep meditation experience November 12. Course fee: $385 before October 1st, $410 thereafter. One scholarship position is available. Applicants chosen is notified September 30. Successful completion of this course earns a Level I teaching certificate. Use the contact form here to apply. Explore the new paradigm humanity is moving towards. 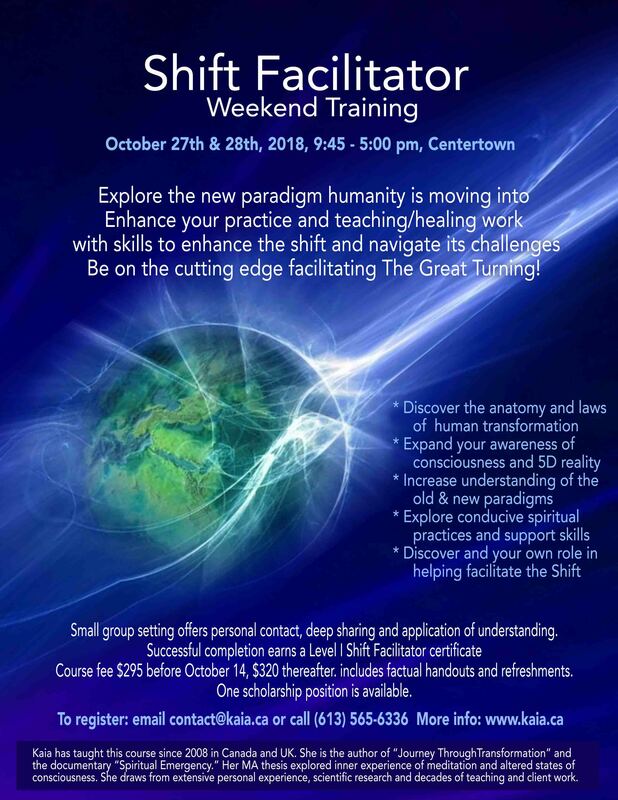 Enhance your practice and teaching/healing work with skills to enhance the shift and navigate its challenges Be on the cutting edge facilitating The Great Turning! Small group setting offers personal contact, deep sharing and application of understanding. Successful completion earns a Level I Shift Facilitator certificate Course fee $295 before October 14, $320 thereafter. includes factual handouts and refreshments. One scholarship position is available. Applicants chosen is notified October 14.